I'm trying to use PdfXChange Editor 6.0(Build 317.0) to OCR a scanned 130 page document. I've tried 200,300, and 400dpi, but there's not even the appearance the OCRing has even started. I'm on a 32 bit system, so I thought it might be a memory problem, and extracted one page to test. The only anomaly I can see is the it's a 35.333in x 45.639 in document, even though it should be 8.5"x11". I have scanned other documents larger than this one. Thank you for the detailed posting. Are you perhaps using the portable Editor? or is it fully installed? Could you please provide the single-page extraction that you were able to reproduce this issue with? 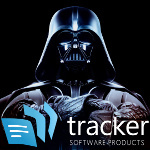 If you are not comfortable uploading that page to a public forum, you may send it to support@tracker-software.com with a link back to this topic. I don't think PDFXchange is installed as portable, how can I tell? I have attached one of the pages. Thank you for providing this file. I reproduced the issue you described on my 64 bit Win-10 machine when OCR is set to high accuracy. When set to medium accuracy, the OCR seems to work perfectly. Can you please confirm if you are seeing this as well? Ok, using the low setting: one page of the document scanned in about 20 seconds with great recognition. I tried the medium setting and it took about 5 minutes to scan, but seemed to work the same as the low setting. The job's complete now, just wish I had tried what you suggested.